Corinne joined Galileo in July 2018 as Chief of Staff to the company’s Chairman and CEO. In addition to managing all calendars, appointments and travel for the CEO, Corinne is also the Office Manager and Human Resources Coordinator for Galileo Global Group, overseeing all office services by implementing administrative systems, procedures and policies, as well as monitoring all administrative projects. She is the primary point of contact for internal and external stakeholders. 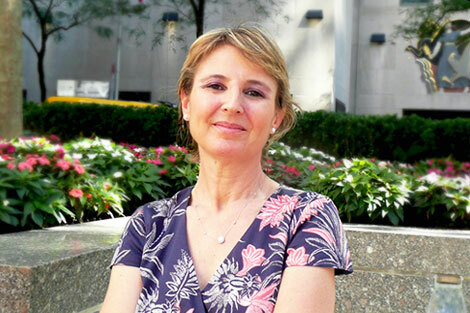 Prior to joining Galileo, Corinne held the position of Office Manager at the New York French American Charter School where she implemented multiple administrative procedures, assisted the Admission Officer with student enrollment and coordinated multiple events with New-York based French schools and diplomatic representations. A native of France, Corinne has moved back and forth between the UK, the USA and her birthplace. She started her career at Crédit Lyonnais Paris as Export Finance Manager focusing on South-East Asia and later moved to corporate banking as an analyst for multinational corporations and financial institutions. She then worked as multi-source Export Finance Manager, structuring deals for multinational corporations and coordinating the banks’ European network in this field of expertise. She is a strong advocate for bilingual education and served for ten years as a board member of the International Public School of Lyon, France. Corinne holds a Master’s degree in Economics and International Finance Management from the University of Strasbourg (France) and a dual Bachelor’s degree in European Business Administration from Middlesex University in London and Neoma Business School in Reims, France.